Clarke realized soon after the discovery that they were on to something highly significant and started the specialized process of excavating the skeleton in the cave up through 2012, when the last visible elements were removed to the surface in blocks of breccia. "My assistants and I have worked on painstakingly cleaning the bones from breccia blocks and reconstructing the full skeleton until the present day," says Clarke. This is the first time that a virtually complete skeleton of a pre-human ancestor from a South African cave has been excavated in the place where it was fossilized. The 20-year long period of excavation, cleaning, reconstruction, casting, and analysis of the skeleton has required a steady source of funding, which was provided by the Palaeontological Scientific Trust (PAST) - a Johannesburg-based NGO that promotes research, education and outreach in the sciences related to our origins. Among its many initiatives aimed at uplifting the origin sciences across Africa, PAST has been a major funder of research at Sterkfontein for over two decades. 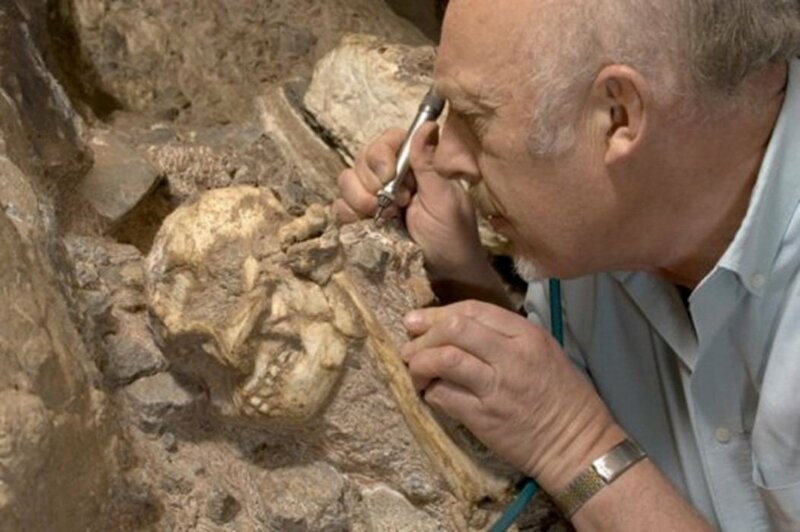 The article, originally titled ” Litte Foot takes a bow: South Africa's oldest, and the world's most complete Australopithecus skeleton ever found, introduced to the world ." was originally published on Science Daily .